The current BMW X4 was only introduced for 2015 but a redesigned model is already in the works. And judging by the lack of camouflage gear on prototypes, the debut can’t be far. The quick replacement rate is due to the X3, from which the X4 is derived, having just been redesigned itself, as a 2018 model. 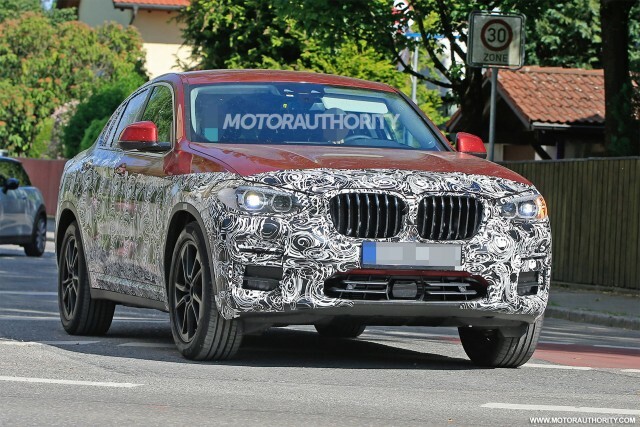 The new X4 should arrive next year, meaning we’ll likely see it introduced as a 2019 model. Both vehicles adopt the SUV version of the BMW Group’s modular platform known as CLAR. The platform debuted in the 2016 7-Series and brings to the table lightweight construction and compatibility with alternative powertrains. BMW has already confirmed that the X3 will offer an electric powertrain. It’s likely the X4 will at least have a plug-in hybrid option. There will also be 2.0- and 3.0-liter turbocharged inline engines. An 8-speed automatic should be standard. Performance fans can look forward to another generation of the X4 M40i M Performance model. This one will have a 3.0-liter turbocharged inline-6 with 355 horsepower and 369 pound-feet of torque. 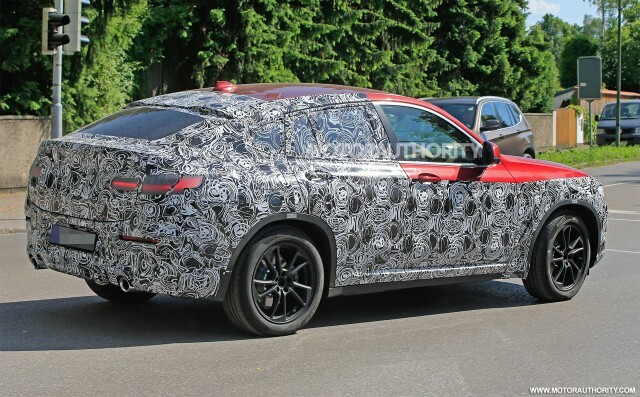 It’s possible a proper X4 M is also introduced to combat Mercedes-AMG’s new GLC63 Coupe, since the M division is known to be developing an X3 M.
On the outside, we can see BMW is already implementing styling cues previewed by the recently revealed 8-Series concept. Elements borrowed from the concept include the enlarged grille, thin headlights, fluid surfacing, and wraparound taillights with a prominent “L” motif. On the inside, things will be shared with the X3. It means a big 10.25-inch touchscreen display will serve as the main interface. Drivers will be able to control it using the iDrive controller or voice activation. The X4’s rivals include the Land Rover Range Rover Evoque, Mercedes-Benz GLC Coupe and Porsche Macan. Eventually, Audi will join the fray with a small, fastback SUV dubbed the Q4. Buyers looking for something even smaller can opt for the recently revealed BMW X2.